One of the highlights of this year's SS18 collection, this gorgeous dress designed by our friends at Emilie et Rose is an enchanting piece that will look amazing whatever the occasion! 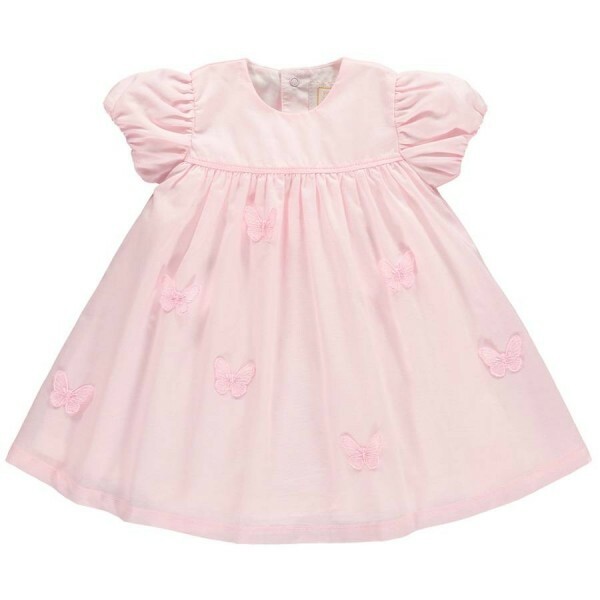 A fabulous addition to your young lady's summer wardrobe, this is a very sweet and feminine dress in pretty pink cotton lawn, with a simple round neck. The stunning pink colour is the perfect tone for the season, and is sure to compliment whatever accessories she wears! Full of subtlety, charm and style, it's a really special dress that's sure to receive smiles and compliments wherever you go! Not only will your little one look right on trend, the set has been carefully designed to ensure that they stay as cool and comfortable as possible during the warmth of the summer months. It's a wonderful design, with real class, that will look great all summer long!